Here’s a fun, easy, fast #jensfillerblocks for your Filler Block Friday! This is the pattern included in the Hello Darling Frivol’s kit by Moda. I had wanted to make one and finally someone posted where you can find the pattern to download for FREE. 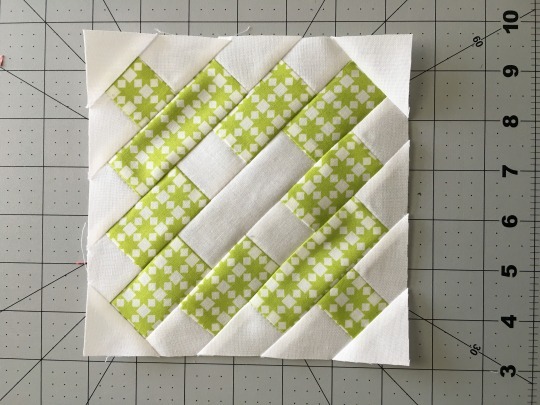 The finished block as specified in the instructions will be 6.25″ instead of 6.5″, but don’t you worry. I’ve modified it a smidgen to make it work. 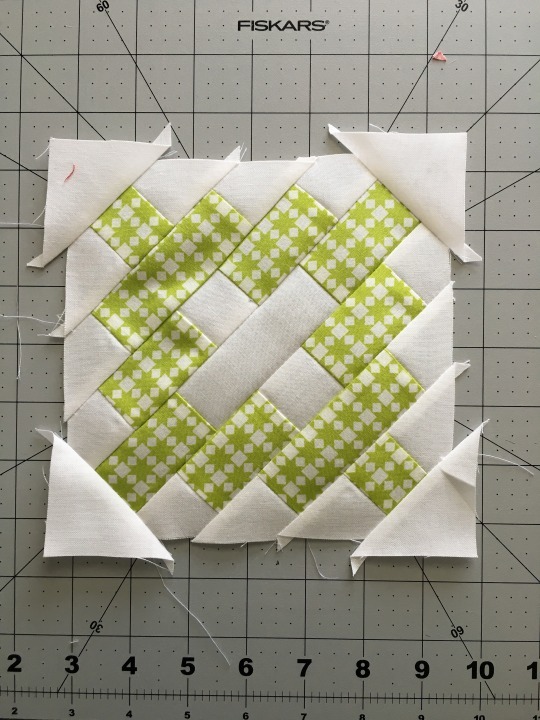 After you download your pattern and make sense of it all, substitute 3-1/4″ squares for the QSTs and 2-3/4″ for the HSTs. This will give you plenty of space for when you trim your block down. I promise that should make sense after you look through the pattern. I used my 6.5″ blocloc ruler to trim my block down, simply because it is 6.5″ square. Feel free to use whatever you have on hand. This would be SO cute as a scrappy block and frankly, I think I need to make one of those today, assuming my children cooperate!